Ho ho ho! It’s the time of the year when you hear Christmas carols everytime you go out to the shopping malls. 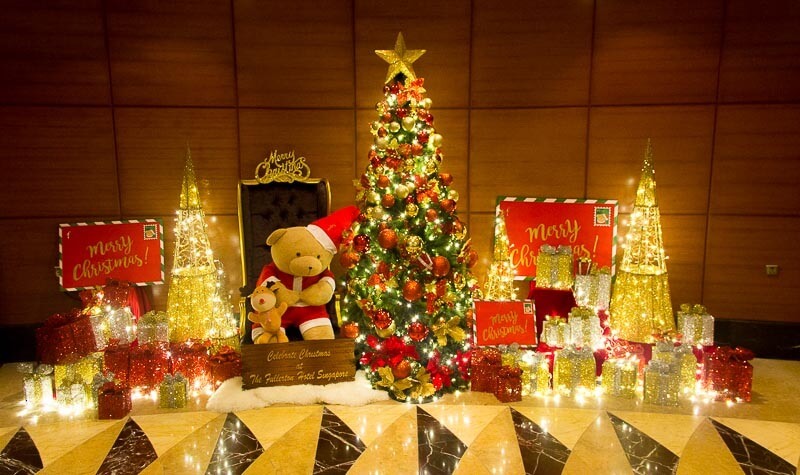 It’s the time of the year when your Facebook and Instagram feeds are filled with Christmas trees and Christmas feast! It’s also probably the season you travel. 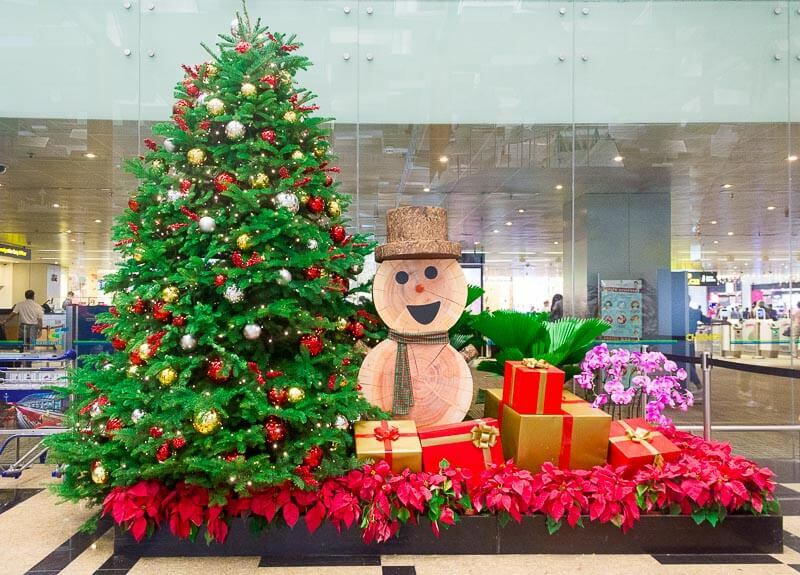 Speaking of travel, Singapore is a wonderful destination for Christmas. 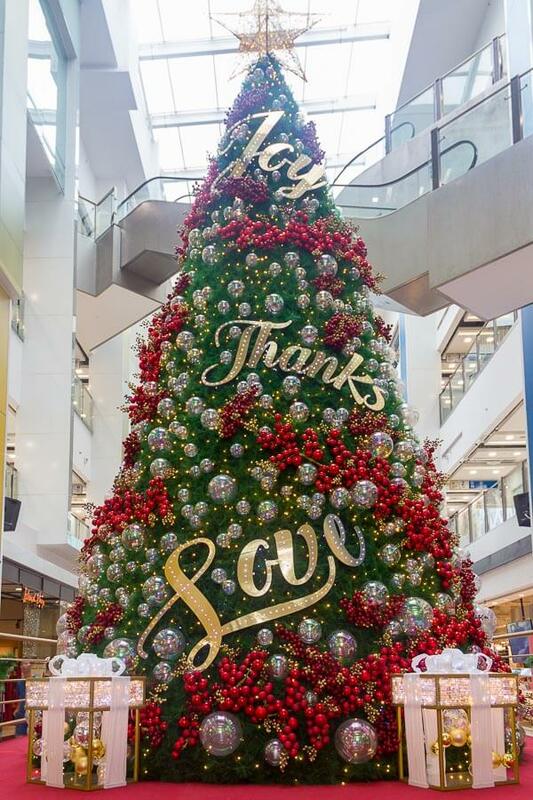 Every year, the country put up so many kinds of themed decorations all over the island, from Boon Lay in the west to Changi in the east, from Punggol in the north to Harbourfront in the south. Christmas is basically everywhere. And the decorations are different every year. 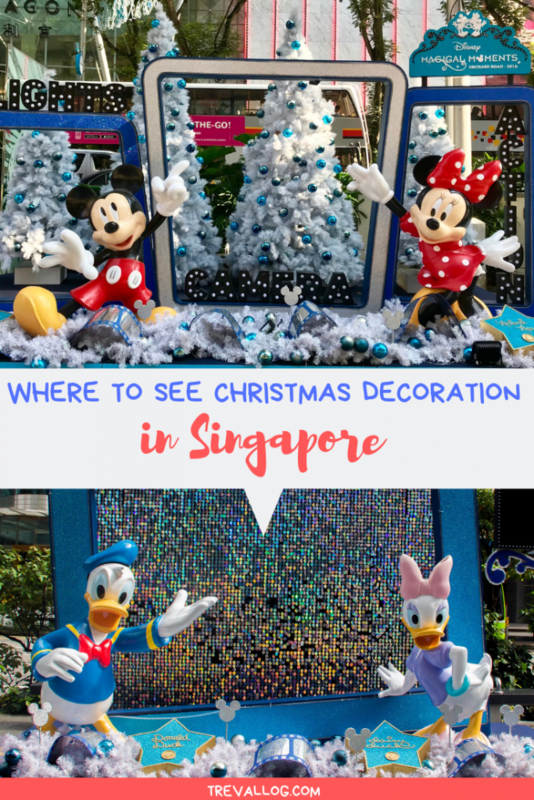 I wouldn’t bore you with a list of every single place to see Christmas light-up in Singapore. 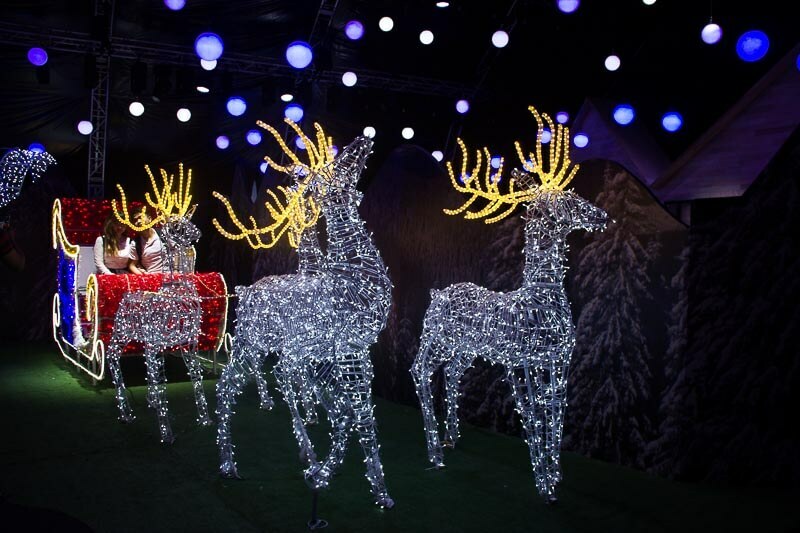 Instead, here’s a list of Christmas decorations that you don’t want to miss. 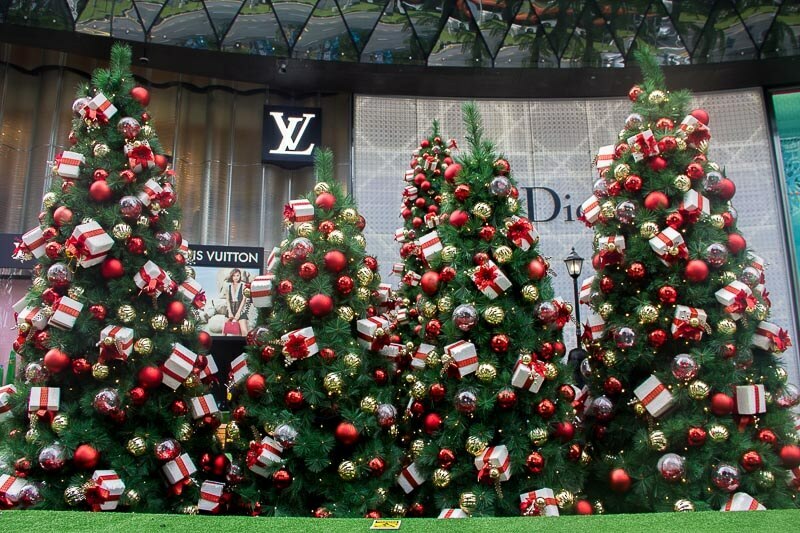 Orchard Road has been consistently putting up breathtaking Christmas decorations every year. 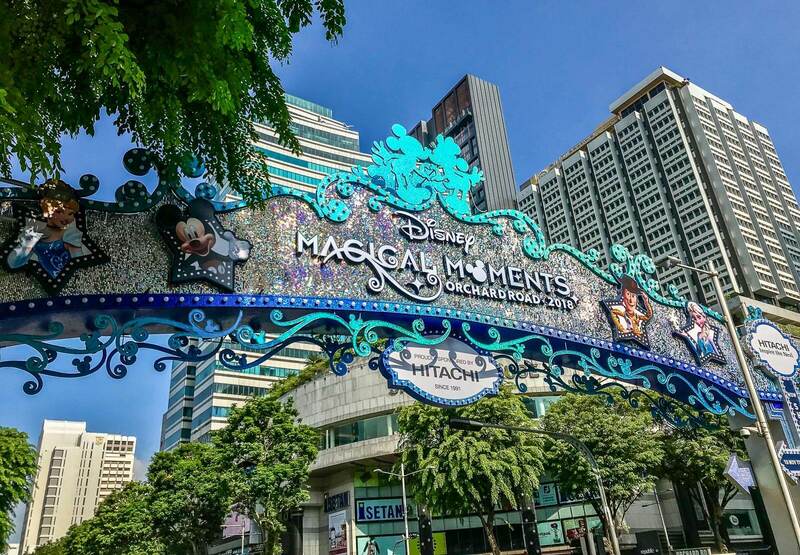 This year, they’re bringing the magic of Disney to this world-class shopping paradise. Disney fans, even if you’re not an avid shopper, you obviously don’t want to miss this magical street. From 10 November 2018 to 1 January 2019, you will find Disney Princess (like Cinderella), Mickey Mouse and friends (like Minnie, Donald and Daisy), Toy Story and even Frozen characters. 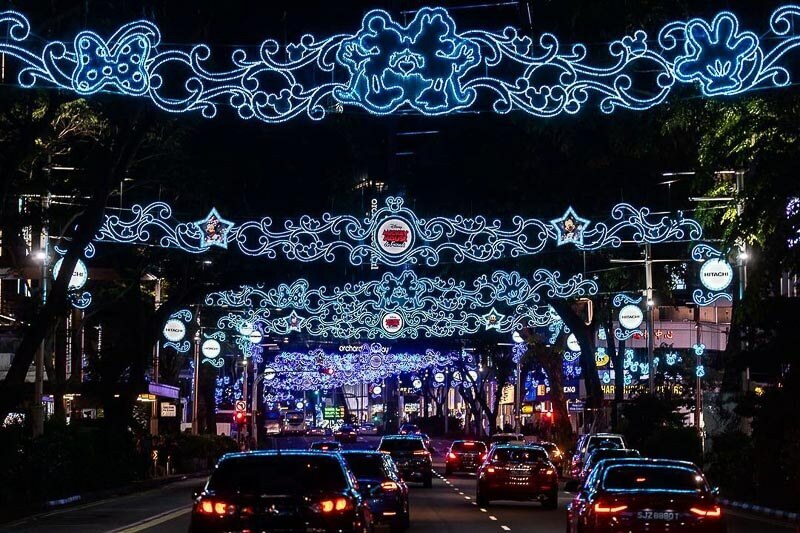 Christmas on Great Street starts from Tanglin Mall at Tanglin Road and ends at Dhoby Ghaut MRT Station. You can start your journey from Dhoby Ghaut MRT and walk to Tanglin Mall, or vice versa. Other than Insta-worthy photo opportunities, what else can you expect? Plenty. 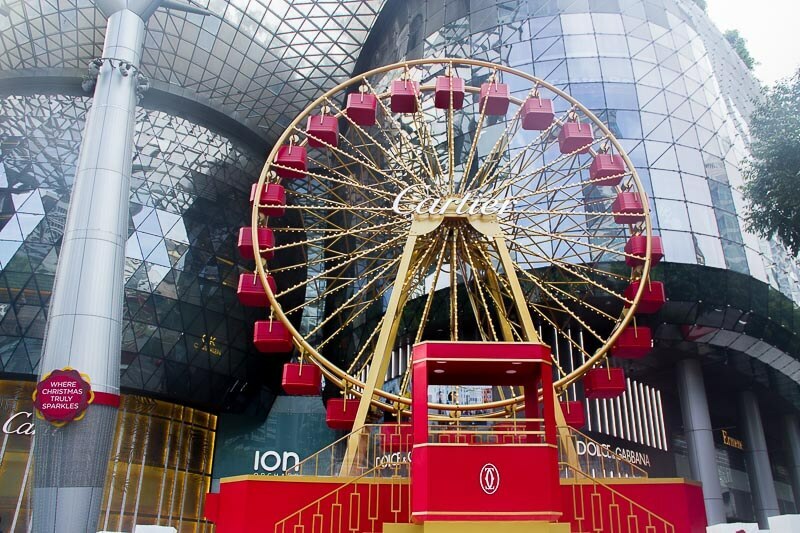 Pop-up stores, Christmas Village with amusement rides, nightly live performances. When is the best time to visit? Go there in the morning if you want less crowd and you don’t need to see the actual lights up. Go there in the evening if you want to see the dazzling lights and performances, but it’ll be crowded so you’ll probably have a hard time to take photos without other people in it. How much does it cost? It’s free to walk along the Great Street (from Tanglin Road to Orchard Road). 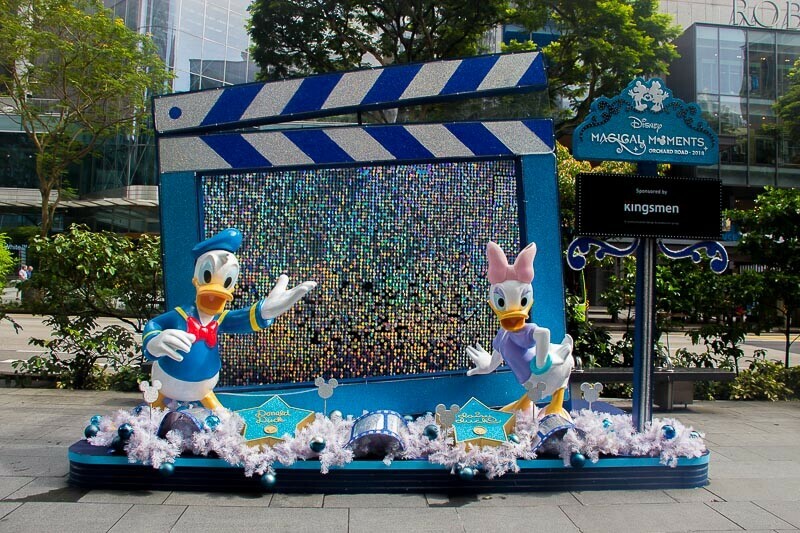 Meet Donald and Daisy Duck! You don’t have to travel all the way to Universal Studios in Japan, UK or US to feel the magic of Harry Potter. What if I tell you that you can visit Hogwarts, Hogsmeade or even Diagon Alley right here in Singapore? Sounds too good to be true? 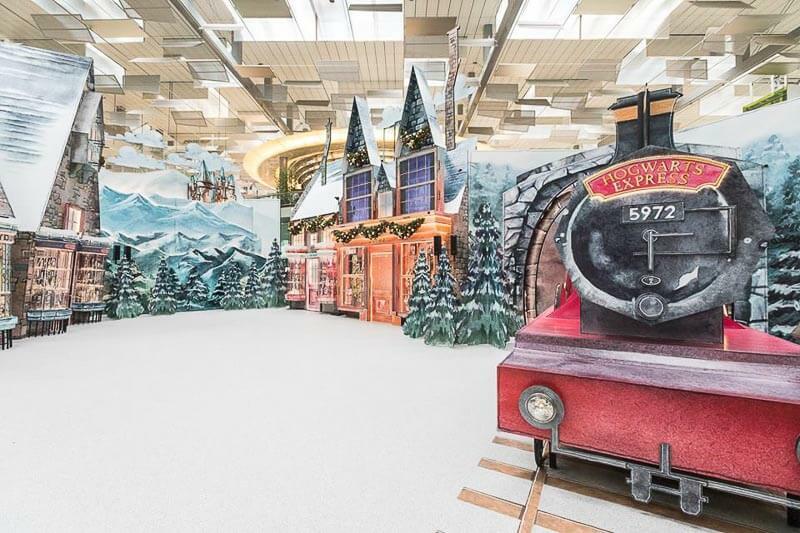 Hogsmeade at Terminal 3 Departure Hall (Public Area). This is the must-visit place because you can experience the Snow and Light Show (weekdays: 6pm, 7pm, 9pm and weekends: 1pm, 6pm, 7pm, 9pm; until 6 Jan 2019), have a glimpse of Hogsmeade village where Harry and friends love to hang out at when they have the chance, take photo with the moving photos (weekends: 3pm, 5 pm; until 30 Dec 2018). Oh, there’s Merchandise store too! Diagon Alley at Terminal 3 Departure Hall (Public Area). 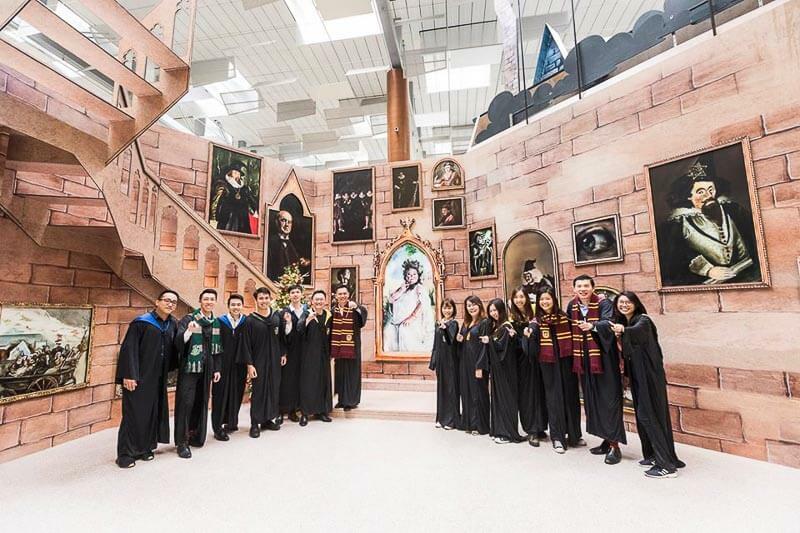 Here, Harry Potter die-hard fans can get dressed in a wizard’s robe, learn and perform spells with a wand, show off Quidditch skills and other fun games. 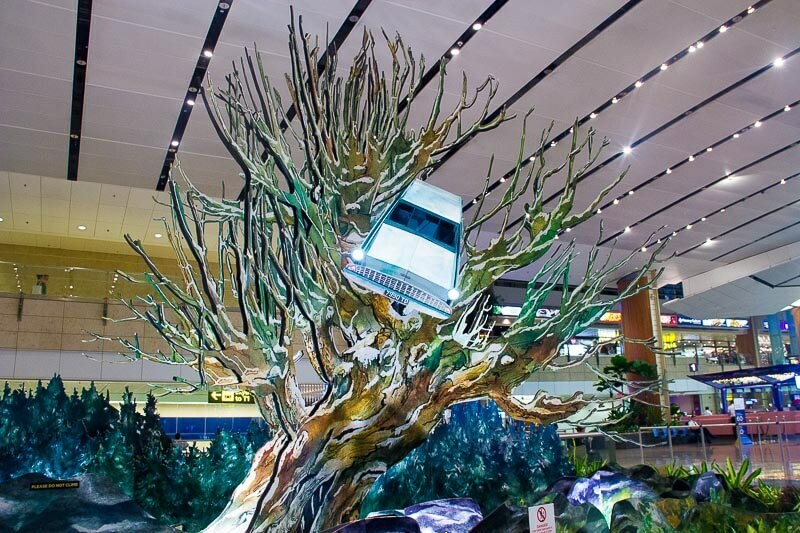 The Whomping Willow at Terminal 2 Departure Hall (Public Area). A cardboard cutout of the special tree that is planted on Hogwarts ground. Newt’s Menagerie at Terminal 1 (Transit Area). A photo opportunity with creatures from Fantastic Beasts series. When is the best time to visit? 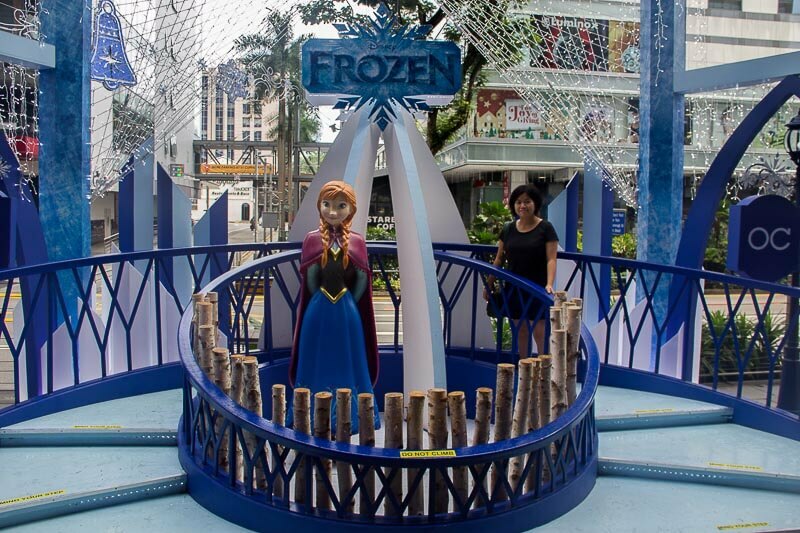 On weekends, go there before 1pm or between 5.30pm to 9pm to catch the Snow and Light Show. On weekdays, go there in the evening for the show. How much does it cost? Free. Take note that if you’re not flying, you can’t get to the Newt’s Menagerie at T1. 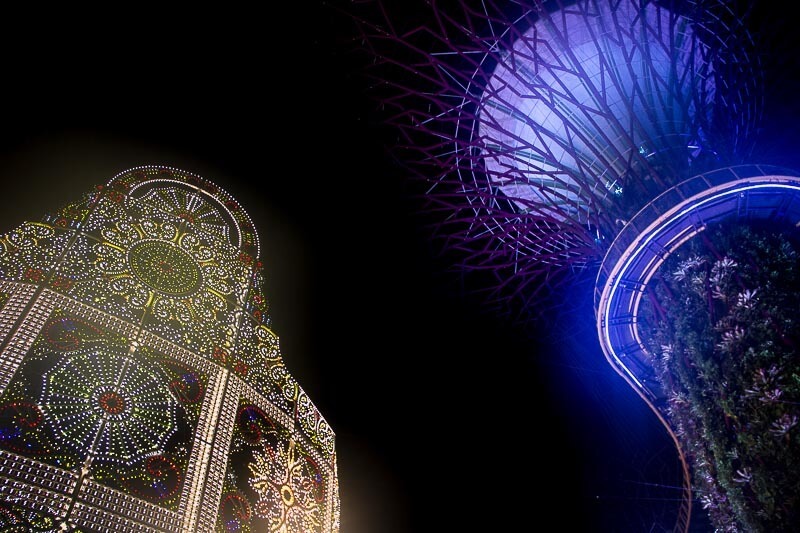 You haven’t been to Singapore if you haven’t been to Gardens by the Bay, really. GBTB is the perfect place to spend a full day at. 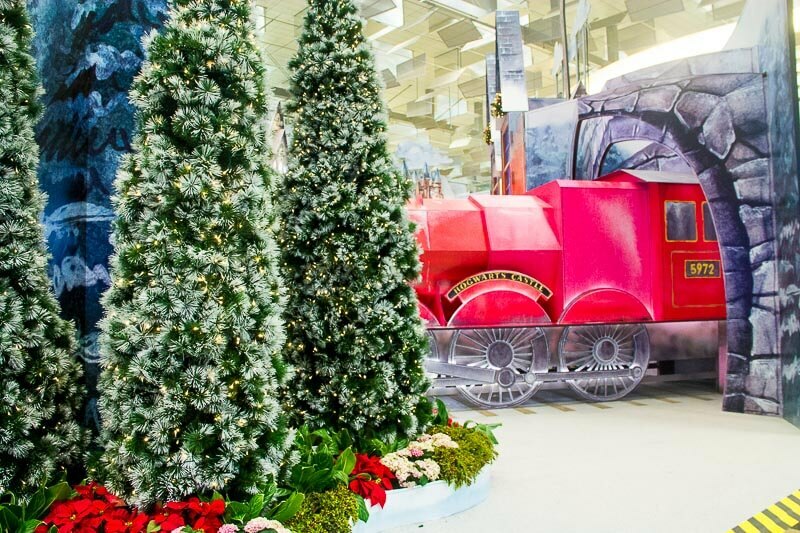 Spend your morning exploring the outdoor gardens, afternoon strolling at the two mesmerising conservatories: Flower Dome and Cloud Forest, late afternoon and evening at the spectacular Christmas Wonderland. 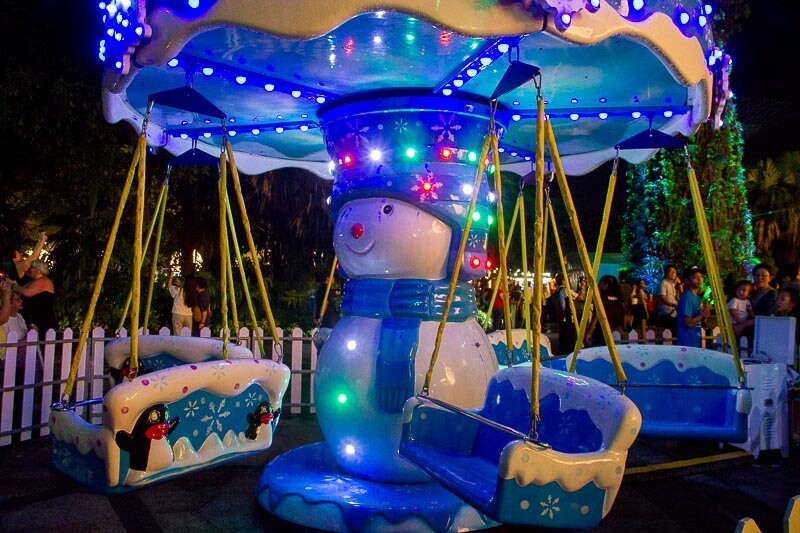 Why visit Christmas Wonderland? 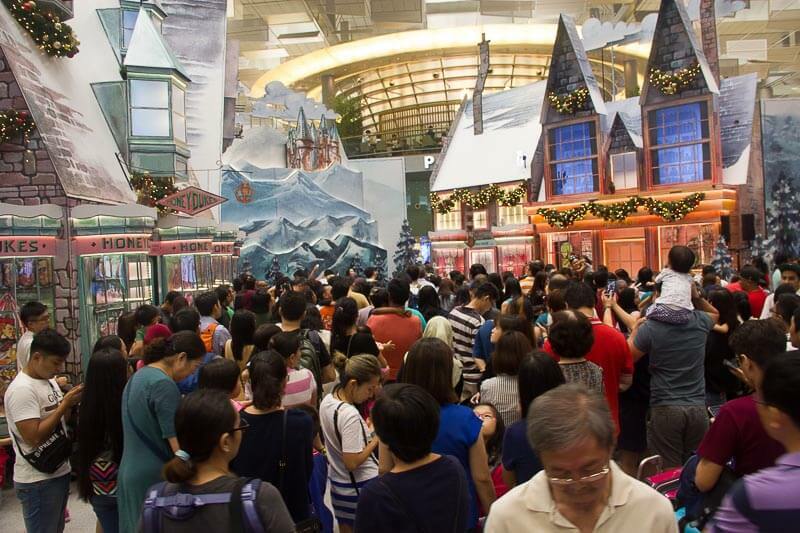 Because it’s Singapore’s very own European-style Christmas extravaganza. 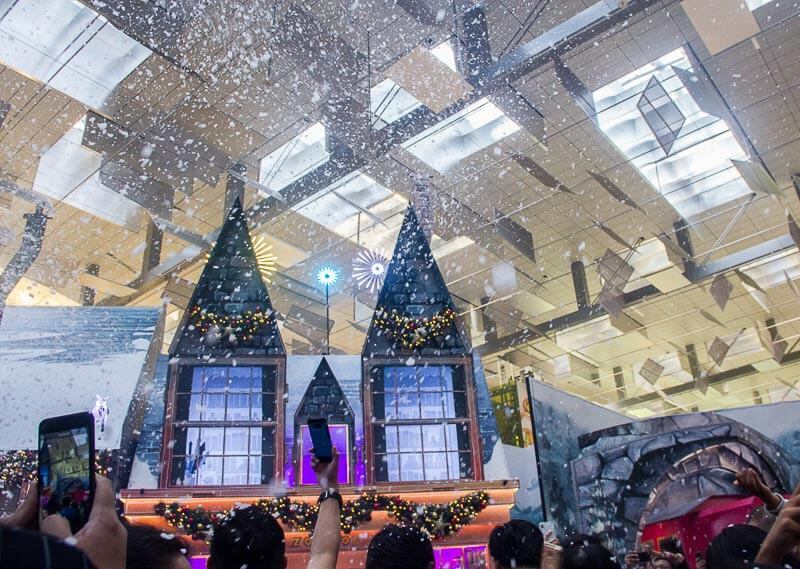 From 30 November 2018 to 26 December 2018, you’ll get to enjoy Yuletide performances from local and international artists, play carnival games and rides, savour a diverse range of good food, ice-skate under the stars, experience the Blizzard (6.30pm, 7.55pm, 8.55pm, 10pm), sing along Christmas tunes at Garden Rhapsody at Supertree (7.45pm and 8.45pm), watch a magic show by Rob Lake, and meet Santa at Santa’s Grotto! If you want to get the most out of Gardens by the bay, I recommend that you purchase this ultimate bundle which includes admission to Flower Dome, Cloud Forest, OCBC Skyway, Christmas Wonderland and Red Dot Museum. 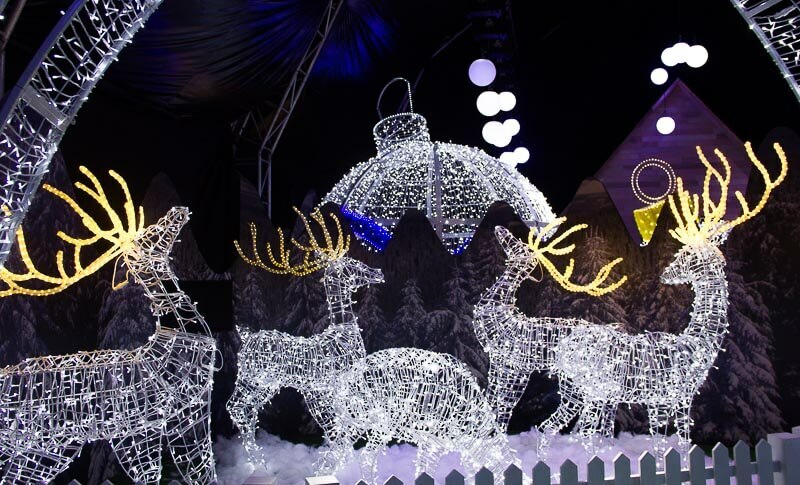 If you want to visit ONLY the Christmas Wonderland, you can buy the online ticket here. When is the best time to visit? It’s open from 4pm to 11pm daily. Don’t go in the morning because you’ll find nothing. How much does it cost? 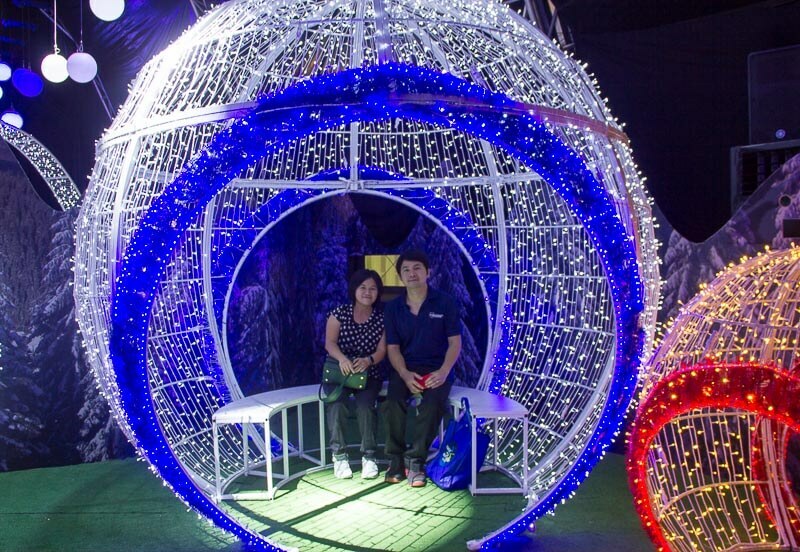 Admission to Christmas Wonderland (exclude Flower Dome, Cloud Forest, OCBC Skyway) starts from $4, depending on the dates you visit and whether you purchase online or onsite. Additional tickets are required for skating, magic show, carnival games and rides. 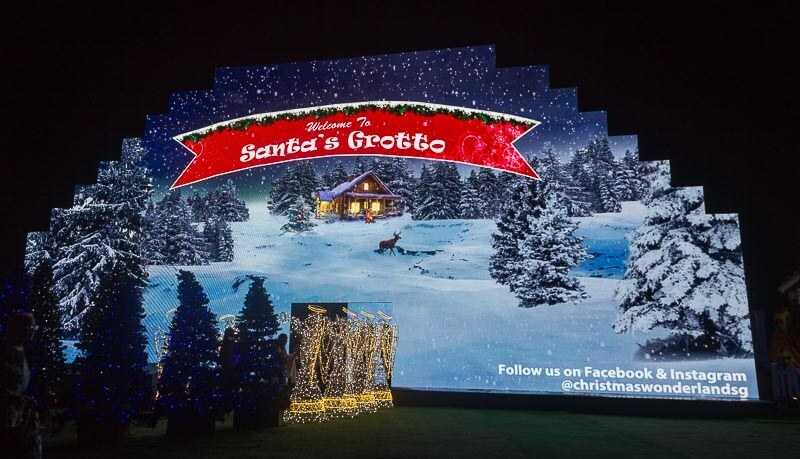 Santa’s Grotto is a must visit! Who wants a reindeer sleigh ride? Is this a time bomb? Oh no! 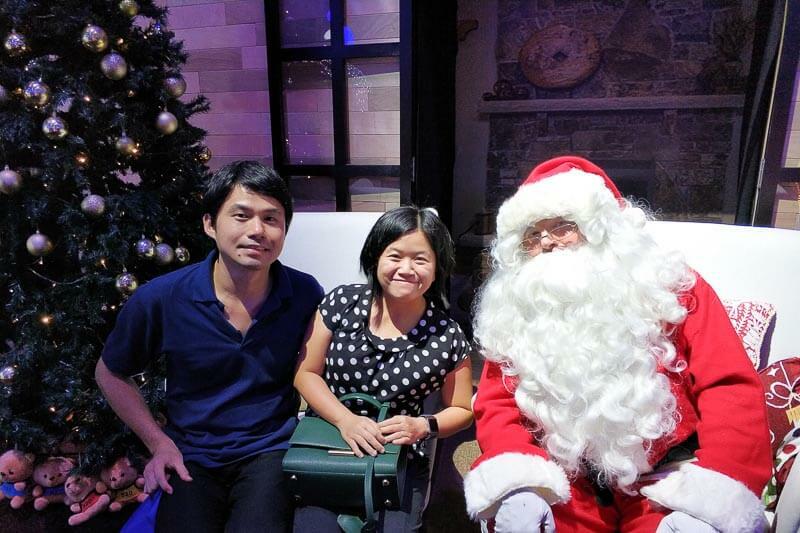 We were so happy to meet Santa! No matter how old you are, you are never too old to visit a fabulous theme park. 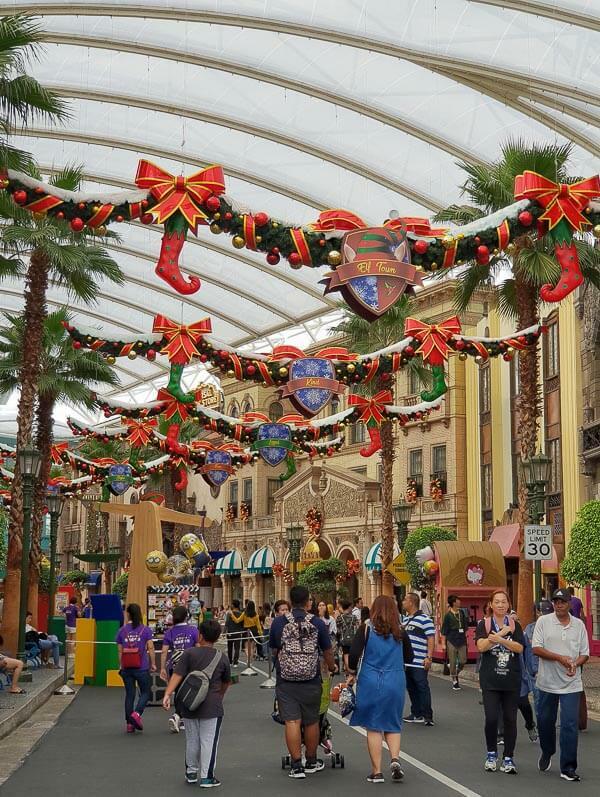 And the Universal Studios Singapore (USS) is not just a normal theme park during this festive season. Why? 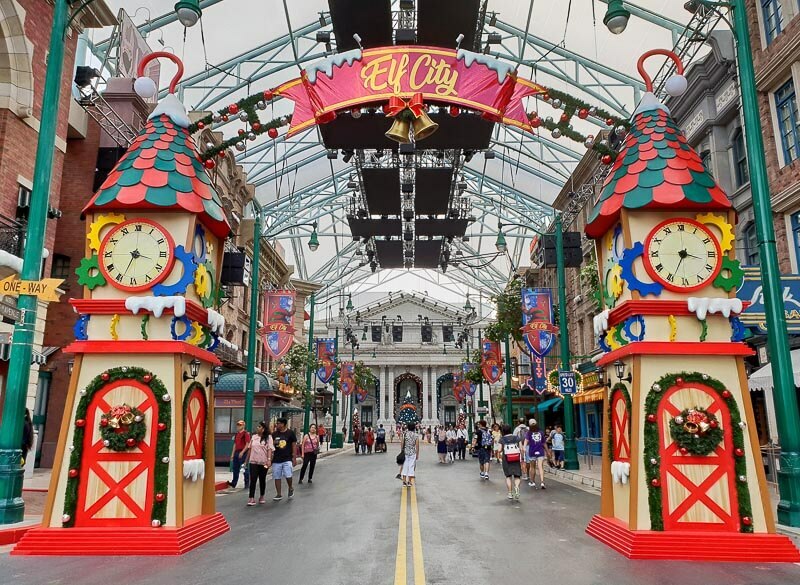 Firstly, the theme park is transformed into an Elf Town where you can meet Santa Claus, Santa’s helpers and other characters dressed up in Christmas costumes! Don’t miss Santa’s Snowy Sleigh Ride Parade which features over 50 merry characters all! Sing Christmas songs along with Marilyn Monroe, dance along holiday hits at the Turntables show, catch Oscar’s Grouchmas show at Pantages Hollywood Theater. Don’t forget, there are plenty of thrill and fun rides in the USS. Worried that you won’t have enough time? Well, instead of the usual 10am-6pm, USS extends the opening hours from 10am to 9pm or 10 pm for Christmas (Check USS Calendar for more info). 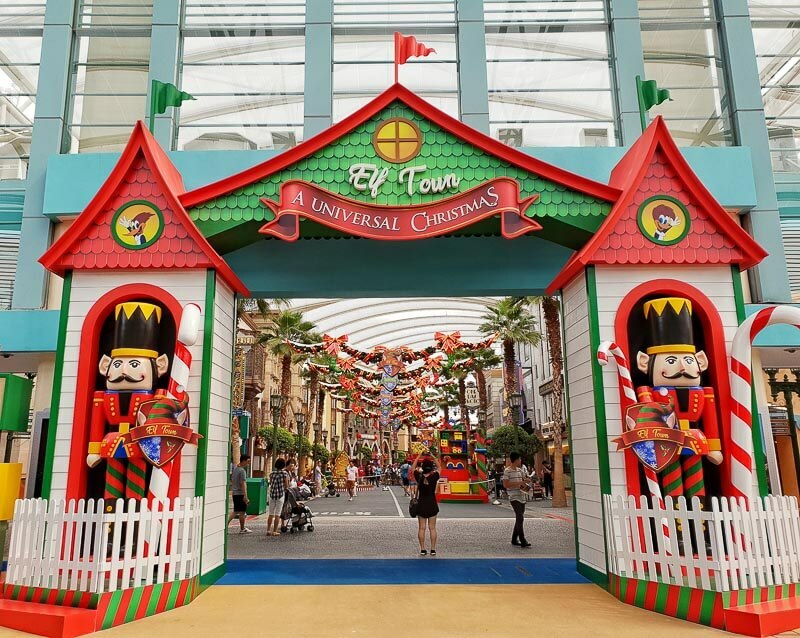 Lastly, there is one thing you MUST NOT MISS if you visit USS during Christmas season. 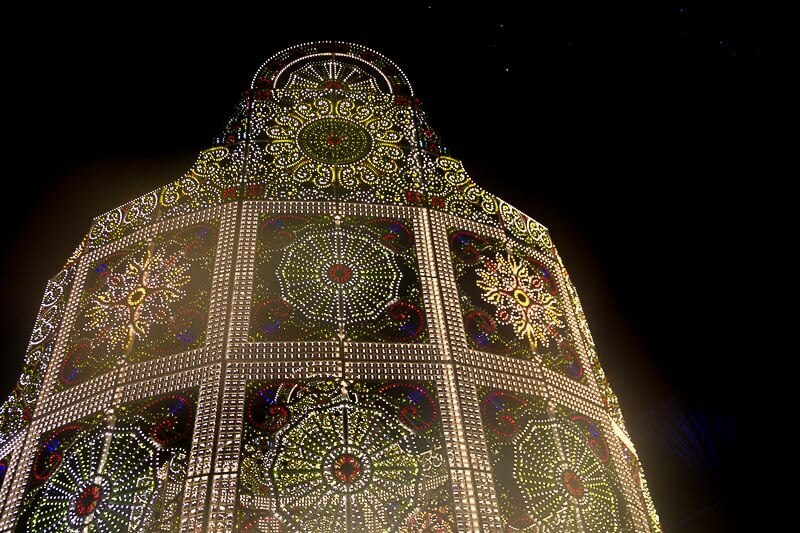 It is the Christmas Fireworks Spectacular show which is displayed only on selected days. When is the best time to visit? It’s open from 10am everyday but the closing hour varies depending on the events calendar. For the latest calendar, visit USS Calendar. I highly recommend that you visit on days where there is a fireworks show. How much does it cost? Regular price is SGD 76, but you can get cheaper tickets if you buy here. 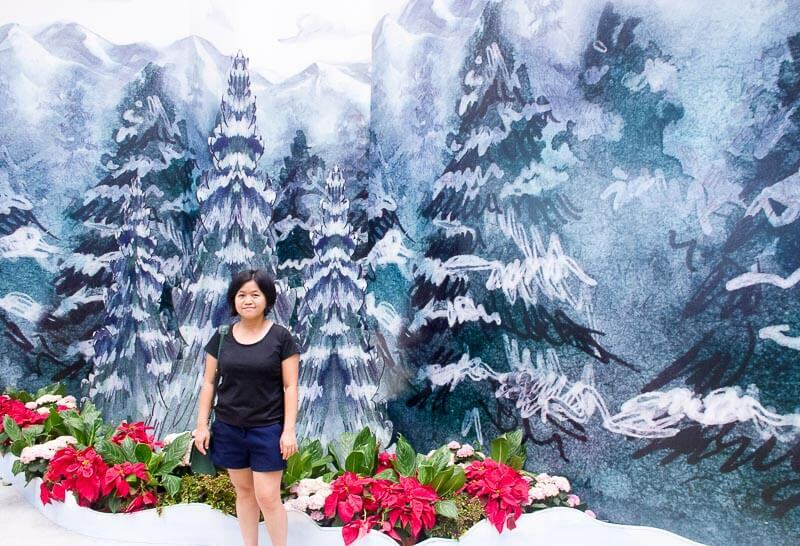 If you’re looking for a simpler but awesome Christmas decoration in Singapore, Bugis Junction is the place to be. 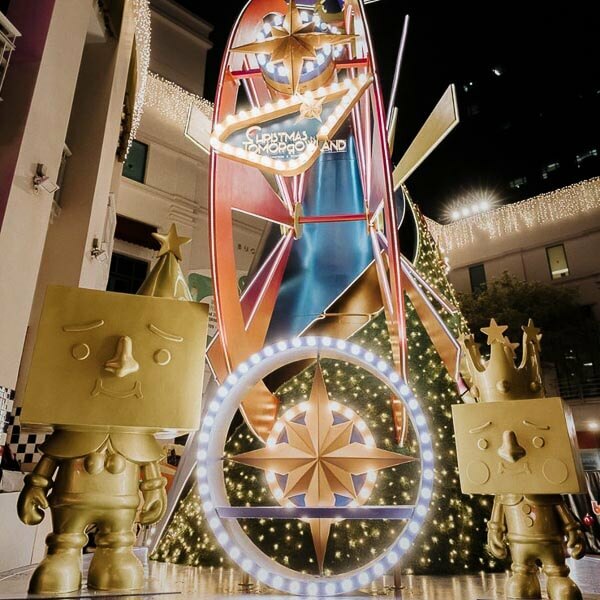 There is an astonishing 10-metre-tall Christmas tree with Ferris Wheel and TO-FU OYAKO characters These festive displays will be available from 16 November 2018 to 30 December 2018. When is the best time to visit? Morning if you dislike crowd. Evening if you love Christmas lights up. How much does it cost? Free. 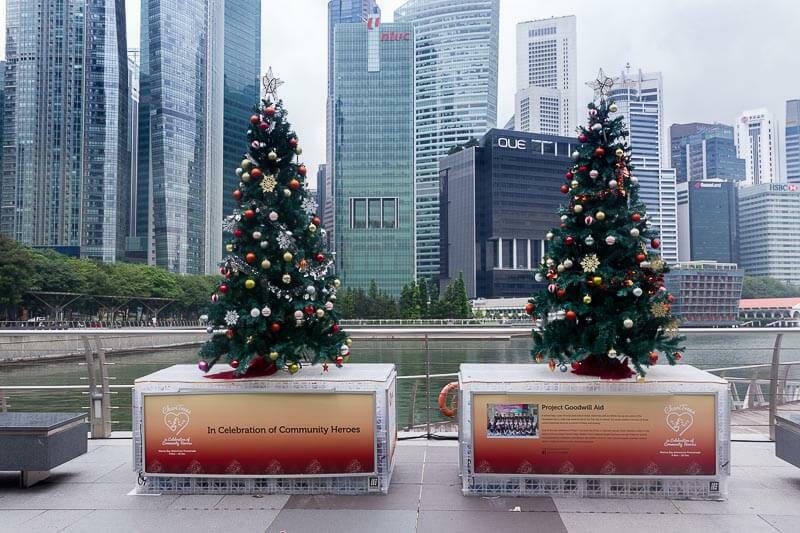 On top of the above 5 major locations, there are many Christmas trees and decorations all around Singapore. Some of my favourites are below. You’ve finally come to the end of the post! Too many things to see, right? 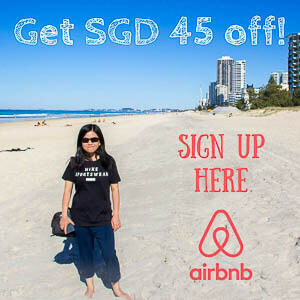 I recommend you visit Singapore slowly during the festive season. 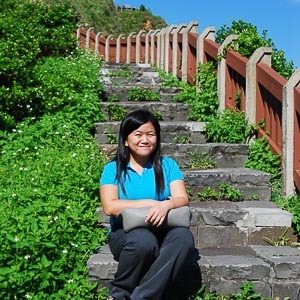 If you have recommendations of other places to visit, let me know in the comments! I hope you have a good holiday season this year! Ho ho ho! The topmost featured image credit to my talented friend, Stephanie.